You may be an aging adult or a growing child, but no matter what age you are, you’ll still love a nice, sweet, nutritious, and delicious Banana. 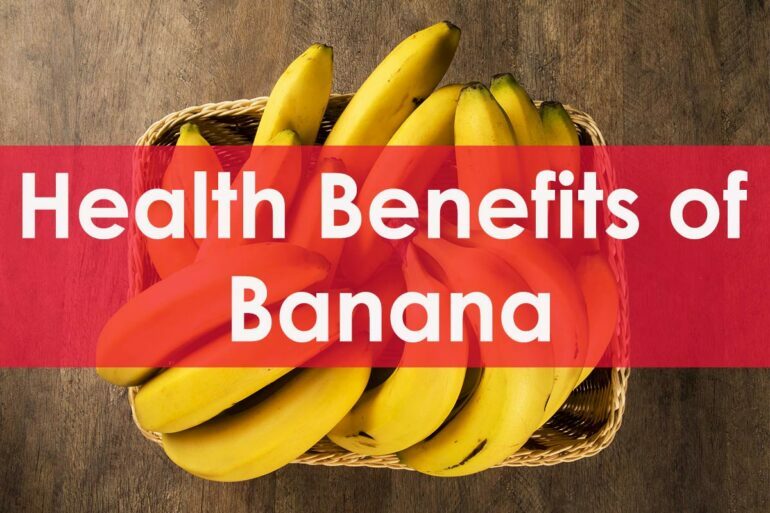 They are a great source of nutrients when you are dieting, by allowing you to enjoy a sugary delight without having to worry too much about ruining your diet since one Banana is equal to just 110 calories. They are also free of fat and cholesterol, which makes great for anyone under a strict dieting program. You can even make cookies or smoothies with it, and still, avoid ruining your diet. Another thing bananas are known for is that they are very, very rich in potassium, I talking about like Bruce Wayne wealthy, a single banana has over 400mg of Potassium. Now, why is potassium so important? Well, it has been proven to be very good in the proper functioning of our muscles and the entire nervous system and keeps the fluids in our body in a healthy balance. If you eat them after an extensive workout session you can prevent muscle cramps. Just as most fruits, Bananas are a big source of vitamin C, and as you know, vitamin C is great at preventing diseases and increasing the efficiency of your immune system. It also enhances the body ability to absorpt nutrients like iron. Surprisingly Bananas are also rich in Vitamin B, which would be normally found in animal products, more specifically, bananas are filthy rich in B-6 Vitamin. You can also find Manganese in Bananas, which is great for maintaining our bones health and proper metabolism. In addition, Bananas are very rich in fiber, which in turn help us to keep our digestive system up to standards, preventing stomach-related complications. In general, Bananas are a great source of other nutrients, vitamins, and minerals, which are very useful to our overall health, like iron, magnesium, calcium, phosphorus, vitamin A, and vitamin E. You can also find traces of folate, carotene, and choline and many other amino acids. Bananas are also a good source of carbohydrates which are necessary for our bodies, as it is the main source of energy for the body. One banana after a workout session would have you good as new in no time. For that reason you may want to add bananas to your breakfast every morning, providing all the energy you’ll need for your daily activities.